This post shows how to recover deleted files from hard drive using free file recovery software. If you are facing data loss issue, keep reading to find out solutions here. This is the most frequently asked question by those who delete important files accidentally. What would you do to get back deleted files since data recovery service is so expensive nowadays? Have you ever managed to recover deleted data from hard disk on your own? Did you make it by using free file recovery software? If you are wondering or looking for an easy solution of hard drive recovery, then you are reading the right guide. Just resume reading the rest part. How to recover deleted files from hard disk using freeware? Unintentional deletion of significant data is very common among computer users, and operating is trying to help users avoid such mistake by providing Recycle Bin from which deleted files can be restored. Therefore, if your computer is running Windows, you can check Recycle Bin and get files restored easily. However, if it is emptied or files are deleted by “SHIFT+DELETE”, then deleted files can’t be restored by system; or you want to recover deleted files from SD card. 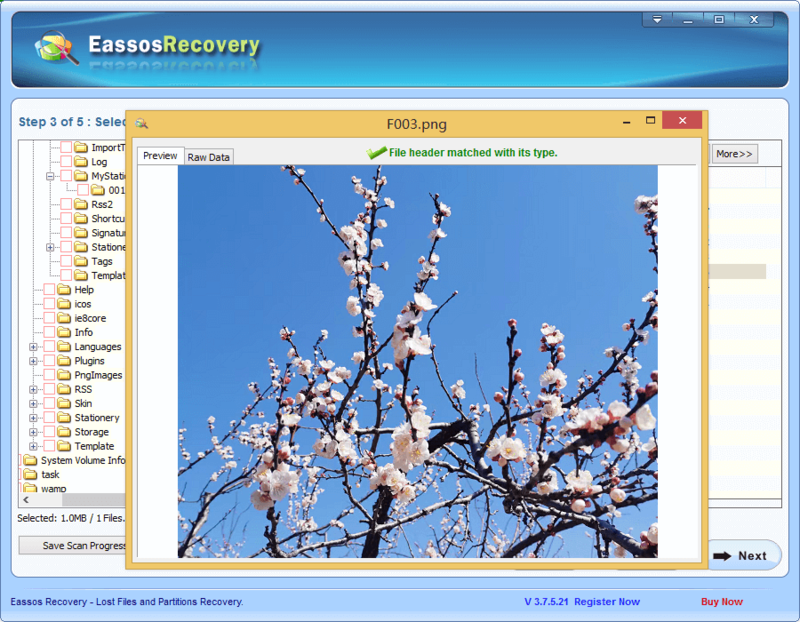 You’ll need assistance of file recovery software such as Eassos Recovery to get back missing data. It can find the file information for system and enables system to show lost files. Complex process of scanning files will be done by recovery software, and what you should do is click several buttons. Also, you can test it now even though you are not losing files. Step 1: Download this hard drive recovery software Eassos Recovery and install it to computer. Then you can delete some files you don’t need and delete them from Recycle Bin. 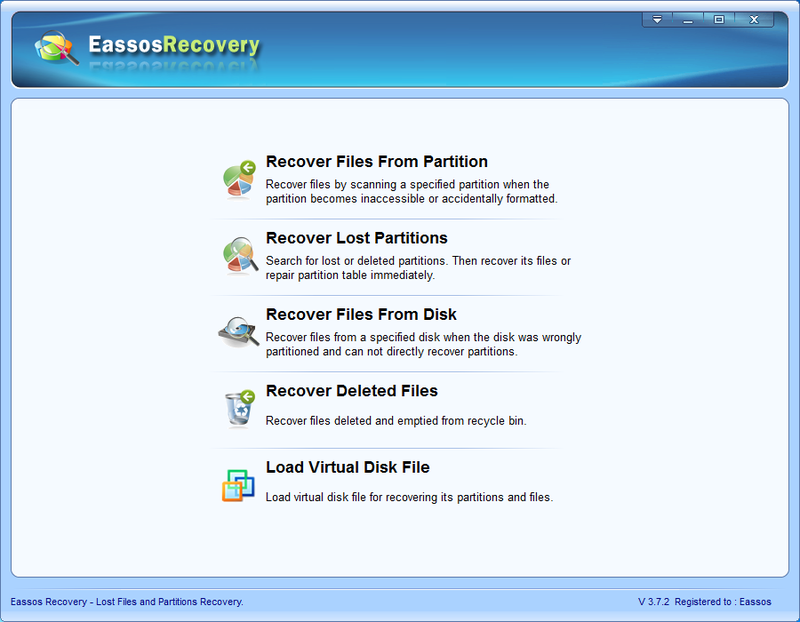 Step 2: Start Eassos Recovery and select the recovery mode “Recover Deleted Files”. Step 3: Choose the partition where you just deleted some files, and click “Next” button to scan the partition. Step 4: After scanning, you can preview deleted files and then get them recovered. Do not perform file recovery from broken hard drive which gets badly physically damage. That kind of hard drive should be send to recovery experts. Recovery software shouldn’t be installed to the same partition which is undergoing file loss. This entry was posted in Data Recovery and tagged deleted file recovery, file recovery software, hard drive recovery software, recover deleted files, recover deleted files from hard drive by EASSOS. Bookmark the permalink.